Here on your doorstep for the very first time, Ponteland Rotary are presenting a festive CHRISTMAS MARKET. Some of us may have seen examples in the likes of Germany & Austria where Christmas markets are an established feature. But for Ponteland, an event on this scale has never been attempted before. 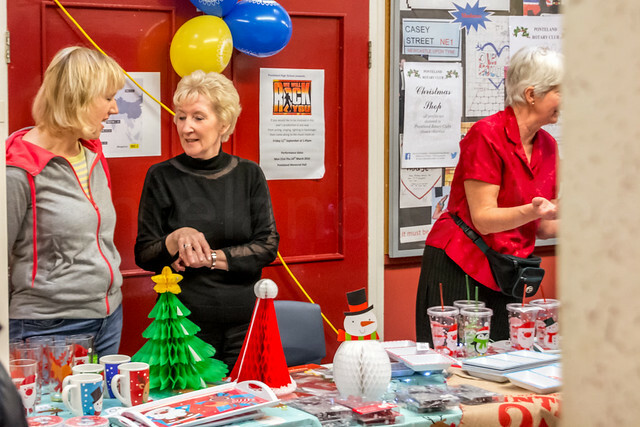 The event which takes place on Saturday, 5th December at Ponteland High School (12noon to 5.00pm) will consist of a parade of stalls, stands & displays both indoors & outside. It will have hot food available and drinks for both children & mum & dad. The Market will have the following stalls – Christmas cards, stationary, books, hand-made toys, beauty products, jewellery, scarfs, dog gifts, prints, balloons and much more. Santa will be there in his grotto and with some Santa helpers to take good care of little ones who want to tell Santa what they might really like to have for Christmas. So, there you have it. An invitation from Clare, Steve and the other Rotarians for you to put this date in your diary and then get along to the event for some pre-Christmas fun on Saturday 5th December.